In August 2008, Pygmalion Books published as a standalone work (in both digital and paperback form) a partial section of Nihilist Communism entitled "Cruelty or the Inclusion of the Distributive Sphere." Their edition represents the final 40 pages of the book, the remainder of the which can be found on the Internet. 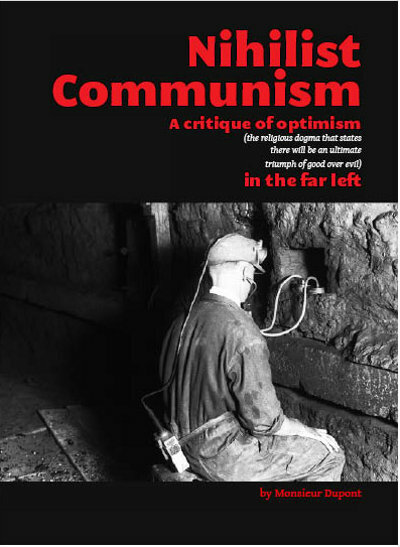 In the Summer of 2009, Ardent Press published their own self-edited and designed version of Nihilist Communism. Is this the whole thing?